WHY YOU SHOULD USE US FOR YOUR COMPLIANCE CERTIFICATE? Dial a Contractor has been providing Compliance Certificates to the property industry since 1998. Initially the only two compliance certificates required were the Electrical Compliance Certificate and Beetle Certificates, but recent legislation has seen the addition of three more Certificates: (1) Plumbing Certificate (2) Gas Certificate (3) Electric Fence Certificate. 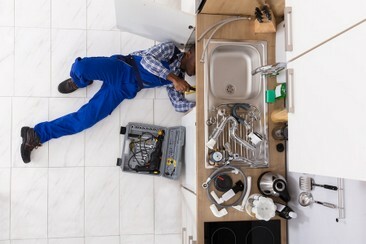 Meaning that most homes will require a minimum of two Compliance Certificates, electrical and plumbing and possibly as many as five compliance certificates depending on what installations you have in your home, but generally the beetle electrical and plumbing certificates are what will be required for most homes. Certifies that the electrical installation on the property complies with the required safety standards. Governed by the Occupational Health & Safety Act. The certificate must not have been issued more than 2 years prior to the transfer date, provided there have been no modifi cations to the installation since being issued. Regulations state property owner may not allow the transfer of ownership without the certificate. Parties may however agree in the Agreement of Sale that it is the purchaser's responsibility to obtain it, provided it is done before transfer. 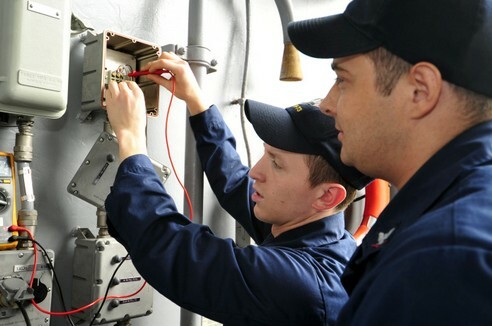 For more information on electrical compliance certificates. Certifies that the accessible wood of permanent structures on the property are free from certain wood-destroying beetles. Not governed by any law, but a practice that has evolved over the years. Parties agree contractually on the validity period of the certificate once issued. Parties can contract out of this; however, if parties agree that no certificate is necessary and bank requires it for purchaser's bond, then that is for the purchaser's expense. Seller is required to obtain the certificate prior to transfer. Best for the inspection and remedial work to be carried out asap after the deal is concluded due to bank and bond requirements and obviously prior to purchaser moving in; however, the parties can agree it is the purchaser's responsibility to obtain. For more information on beetle certificates. Certifies that the water installation at the property is in line with municipal and building guidelines. Governed by the City of Cape Town water by-law. Only applicable to transfers within the municipal jurisdiction of the City of Cape Town. No set period of validity. A new certificate must be obtained every time there is a change of ownership. Parties cannot contract out of this or agree to waive. Seller is required to submit the certificate to the City of Cape Town prior to transfer. For more information on plumbing compliance certificates. Certifies that the gas installation on the property complies with the required safety standards. For more information on gas compliance certificates. Certifies that the electric fence installation complies with the required safety standards. No set period of validity, but an existing certificate may be transferred by the seller to the purchaser. A seller need only provide a new certificate to the purchaser if a change was made to the installation after the current certificate was issued. Parties can agree between each other who shall obtain this certificate. The requirement also applies to sales of sectional title units if there is an electrical fence system situate on common property. For more information on electric fence compliance certificates. South Africas number 1 company specialising in the issue of compliance certificates. Issue of compliance certificates in Gauteng. Issue of compliance certificates in Durban. Issue of compliance certificates in Cape Town. Leading company issuing compliance certificates. Skilled people with years of experience in home inspections. Well established company specialising in the issue of compliance certificates. Prides itself on the successful completion of home inpsections and issue of compliance certificates. Issue of compliance certificates at the most reasonable prices. Contractor for your home inspection and issue of compliance certificates. Premier residential and small-scale commercial company specialising in home inspections. Specializing in commercial, retail, industrial, government and residential issue of compliance certificates.